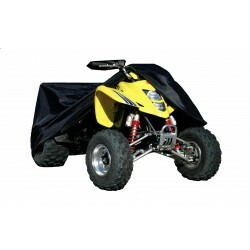 Protect your ATV with a "Revolution" Polyester Storage Cover, The contour fit pattern, elasticized bottom hem and security grommets insure a secure, semi-custom fit. 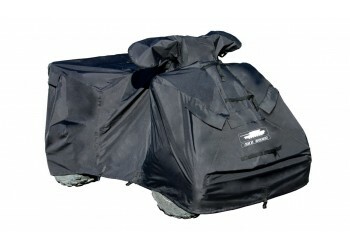 Keep your ATV clean and ready to ride with his high quality, UV and water resistant ADCO Armor cover. 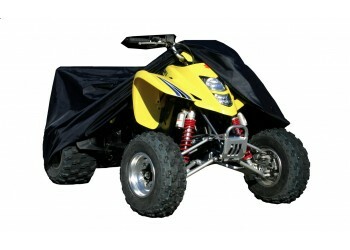 Protect your ATV while being trailered or in storage with ADCO's top of the line Heavy Duty "Endurance" ATV cover. 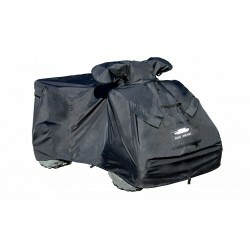 The cover features multiple access points to the vehicle to attach trailer tie downs. Strategically placed buckles and zippers makes installation and removal quick and easy. The cover also features expandable pockets to accommodate the handlebars and lights creating a custom fit. ADCO's Heavy duty "Endurance" Polyester will withstand years of abuse in even the most extreme conditions.